Medical installations require particular experience and an understanding of special requirements. Gary Busbridge explains. The medical installation is a mystery all on its own. It seems like a black art that requires an understanding of bat-wings, lizard tongues and seagull spleens in a witches brew. 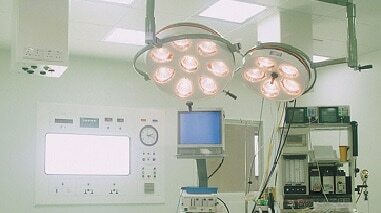 Certain nuances are required when carrying out an electrical installation for hospitals, clinics and the like. But does it need to be a mystery? Many in this industry are protective of who can and cannot install or verify a medical installation. This comes at a time when medical installation tenders are being offered nationally, and quite a few electrical contractors are asking: why can’t I have a piece of this? However, it is important to have a good grounding in making this witches brew – and I’m not making light of this. Experience in previous medical installations, and extensive knowledge of AS/NZS 3003 Electrical Installations – Patient Areas, are essential. There are ways and means of acquiring this background. As a contractor, you could start at the clinic level, gain some confidence and have the installation certified. Some Australian states require any installation work to be verified and certified by a third-party certifier, who must also be licensed. Contracts with large hospitals will probably mandate that a certification body verify an installation even if there are no state regulations. Large hospitals will also expect proof of experience in medical installations. There have been horror stories of installations going wrong due to lack of experience of the consultant/specifier and electrical contractor. The cost of rectification can be huge, because verification is done at final fit-out – when walls, ceilings and even beds are in place. Yes, you did just see ‘consultant/specifier’. Such people can be part of the process that causes major issues in these installations, as an inexperienced contractor may follow specifications without question. The following examples add to the confusion for a newcomer. ‘Leakage protective device’ (LPD) is common terminology for the device protecting socket outlets in an installation. This can be a residual current device (RCD) or a line isolation monitor (LIM), depending on the type of patient area and any state regulations. The minimum size for the equipotential bonding conductor is 4mm2 in a cardiac area – another opportunity to get caught out. The AS/NZS 3003 installation Standard is being revised. Several issues need rectification and some clarity is required so that the consultant and installer can be better prepared to take on the job. The difference between body-protected and cardiac-protected patient areas is a major concern. A cardiac-type procedure means that an electrical connection is likely to occur to the heart by an insulated conductor such as a wire or a liquid-filled tube. A body-type procedure is where there is no likelihood of this. Sounds simple, doesn’t it? The problem is for a cardiac-protected area is that there are many special requirements, especially in earthing and equipotential bonding. These can be quite costly and unjustified for body-protected areas. At present the boundaries between the areas are characterised by passages and doorways (with open or closed doors), and the cardiac-protected area can keep extending within the hospital or clinic, meaning expensive installations. It can be a headache, as cardiac areas allow only a limited number of socket-outlets. In a body area this is governed by AS/NZS 3000. The planning phase must ensure that cardiac areas are restricted to only those locations in which cardiac-type procedures are carried out. Often the whole patient area becomes a cardiac area because someone believes it’s the safest option. Not so. An improved listing of all sorts of medical installations, in support of the above, is envisaged so that patient areas have a much more definitive boundary. Uninterruptible power supply (UPS) requirements will be expanded to provide more detail on their use, the requirements of remote status indicators, and the locations of such indicators. As with the Wiring Rules, the definition and requirements of home medical installations are being clarified. With the average age of the population increasing, many more people are opting for home medical treatment. Usually this involves home dialysis, but many other treatments are available. This makes a lot of sense, rather than taking up space in a hospital. Using the example of home dialysis, the necessary electrical equipment has to be protected by a 10mA RCD. This can be at the switchboard (beware nuisance tripping) or at the powerpoint for the equipment. You are allowed to install the 10mA RCD downstream from a switchboard-mounted 30mA RCD. This could be a nuisance in that the 30mA RCD may trip if there is a problem, but the patient is at home and someone can usually get to the switchboard. Another allowance under review is the use of a plug adaptor with an integral 10mA RCD being fitted to the flexible cord from the equipment. However, this can only be a temporary measure until the house is fitted with the permanent RCD, or for enabling holidays in caravans or rental accommodation. This is an effective dispensation to let more people take the first steps towards home treatment. You can see that the medical installation rules have many different aspects to the Wiring Rules. An experienced, competent person needs to be involved in the planning, installation and verification stages. This will ensure that the appropriate safety and performance requirements are incorporated. Otherwise, that witches brew may just be ‘bubble, bubble, toil and trouble’ – with the emphasis on trouble.